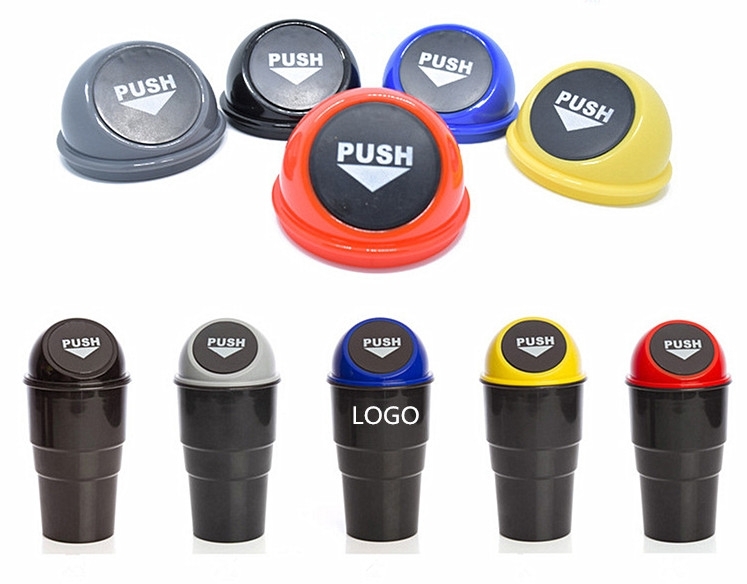 This Mini Trash Container is made from plastic, with size 7 7/8". Provides enough room to carry the rubbish produced when you are driving. It's not only a trash can, it can be a storage box as well. It can be placed in the middle of front seats, or in the front or back side doors.